Accounting departments are typically major paper users. Between financial regulations and disaster recovery plans, accountants print far more than they really need to on a daily basis. This printing leads to paper and consumable waste. Not only that, but if paper documents are not easy to find in a well-organized document management system, they are non-existent for all practical purposes. Any employee who spends more than five minutes searching for an invoice or other financial document will give up and simply reprocess the transaction from the start. If the document in question is one that can’t be replaced or reprinted, then the accounting department is in trouble. Employee productivity could grind to a halt while different individuals search various folders and filing cabinets to find the appropriate documents. If a disaster actually strikes and records get destroyed, processes get even more complicated. Without a robust cloud-based platform that allows users to save, scan, and print documents on any device in the office fleet, it’s incredibly challenging to guarantee disaster preparedness, especially in accounting. Accounting processes are often expensive in terms of resources, employee-hours, and print consumables. Even a small business can generate an alarming amount of waste printing out its expense reports. Businesses that automate invoices with Xerox ConnectKey can enjoy significant benefits to their workflow capabilities. By reducing the amount of manual processing that each individual invoice or report requires, businesses can streamline entire departments to reduce waste and unnecessary expense. The ConnectKey platform is easy to integrate with accounting software, allowing employees to capture and digitize reports and invoices with ease. This generates efficiencies and produces benefits that can transform the accounting department itself. Time Savings. Automating accounting with Xerox office solutions allows employees to scan invoice headers and line-item data directly with optical character recognition software. It allows for two-way and even three-way matching without human interaction, saving hours of time every day. Accurate Processing. Automated matching with optical character recognition is faster and more accurate than manual labor. Optical character recognition – available on the Xerox app studio – eliminates human error, reduces the need for oversight, and prevents duplicate payments. Real-Time Monitoring. With Xerox workflow solutions in place, accounting process owners can easily look directly into payment cycle processes without having to wait for employees to find and present documents. Managers and administrators can monitor payment processes in real-time. Improved Visibility. The ability to see the accounting department’s big picture at any time means that managers, executives, and stakeholders can leverage exhaustive key performance metrics in real-time and adjust processes when necessary. This reduces non-compliance and enables constant improvement. Customized Functionality. The ConnectKey platform supports third-party development and software engineering. With the help of experienced print experts, businesses can seamlessly integrate their accounting processes with any other department or vendor. Improved Business Relationships. Keeping accounting documents digital and transmitting them automatically gives businesses an upper hand when communicating with partners, customers, and vendors. It also improves the organization’s ability to on-board new hires, approve new suppliers, and pay invoices on time. Better Use of Talent. Organizations that automate invoices with Xerox ConnectKey enjoy the ability to leverage their accounting talent towards strategic, high-impact processes. By reducing dependence on manual processes, businesses are able to free their best employees from spending time on high-volume, low-impact processes that don’t help the bottom line. The ConnectKey platform is an easy-to-use, plug-and-play workflow solution. It allows businesses to immediately streamline print-related tasks without having to rely on technical expertise. Even the device’s network initialization routine is automatic – it simply seeks the existing network and sets itself up on it. However, maximizing the efficiency of an accounting department using Xerox office solutions requires a more involved approach. The ConnectKey platform supports independent development and allows businesses to implement their own custom-built applications into their print fleet. Our expertise is critical to making the best choice when acquiring office equipment for accounting departments and processes. The team at Zeno Office Solutions can provide the development knowledge and consulting services office managers need to minimize waste while maximizing productivity and efficiency in the workplace. 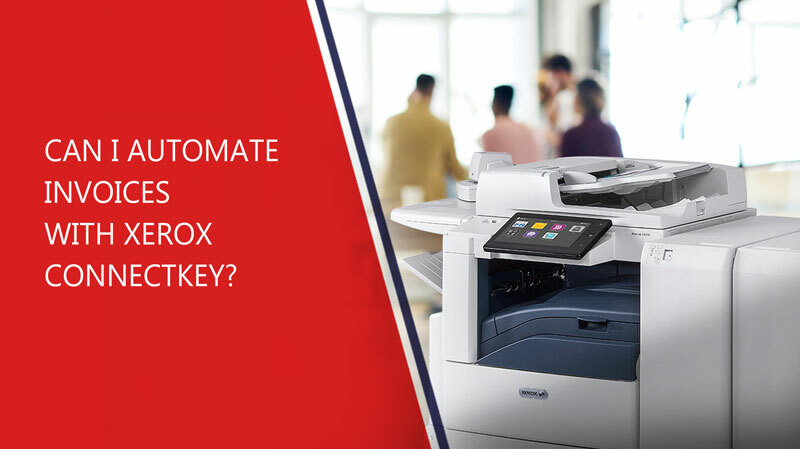 Xerox ConnectKey is a powerful tool for automating workflow processes and improving efficiency throughout the entire organization. Speak with a Zeno specialist to learn about implementing ConnectKey!